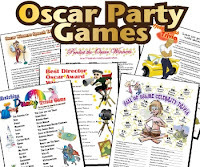 SusieQTpies Cafe: Oscar Party Games and Red Carpet Party recipes! Thought you might like to know about some oscar party gifts. i found a personality finder by which nominated films are the favorite on the giftrap blog at gifts.com. 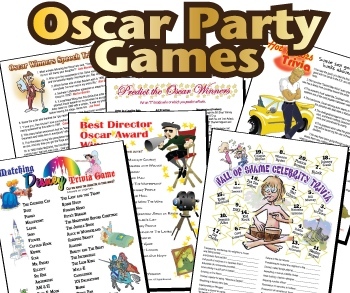 I am also a huge fan of printable party games. Here is a site that offers them Free of Charge.